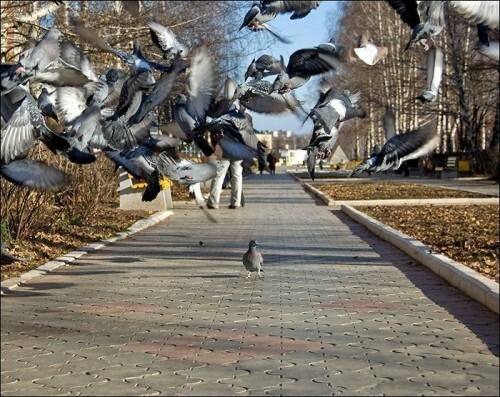 Maybe something else was the cause of the fear, yet that one pigeon was the only one who rolled high enough? Or he failed his listen check, while the others passed. what is more likely, is that it is not a pigeon but a shape shifting daemon taking on the form of a pigeon which is causing the fear in the real pigeons. Hi’s just blind and deaf.